With more than 80 years of history in Germany, Afri cola was re-introduced in the United States nationwide. 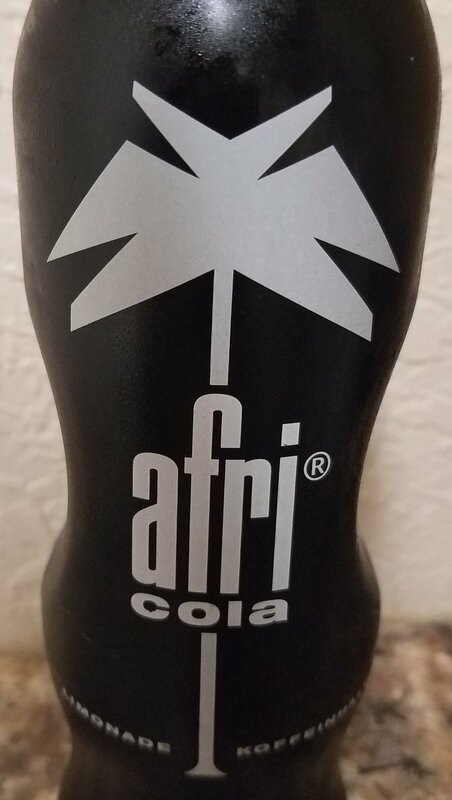 Afri cola is a premium cola made with real sugar and natural flavors, featuring a bold taste that is enhanced by an extra caffeinated kick by containing twice as much caffeine as other colas, the company says. Not sure why this tasted flat to me, but could be because of the high caffeine? It’s a great know product from Germany, and maybe if you grew up drinking Afri-Cola, then you might be hooked on it. But really not a fan favorite for me. 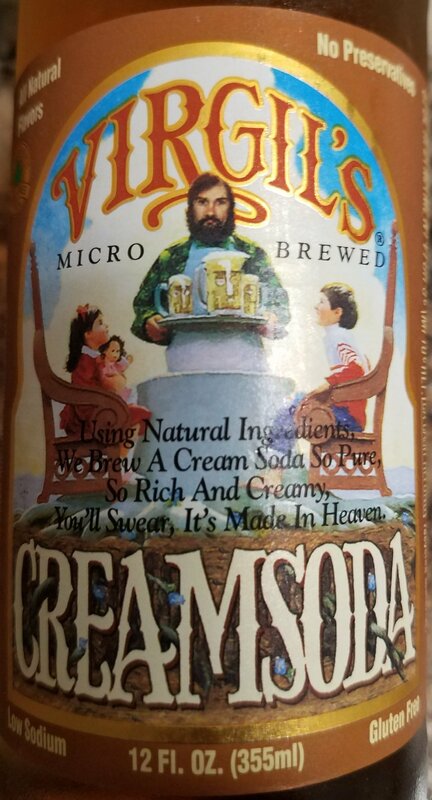 After having Virgil’s root beer, the bar was raised high for the cream soda. Happy to say that I was not disappointed. I got the chance to have the cream soda with a chocolate brownie and boy was that a treat! This soda has a oh so sweet cream taste that goes down smooth. 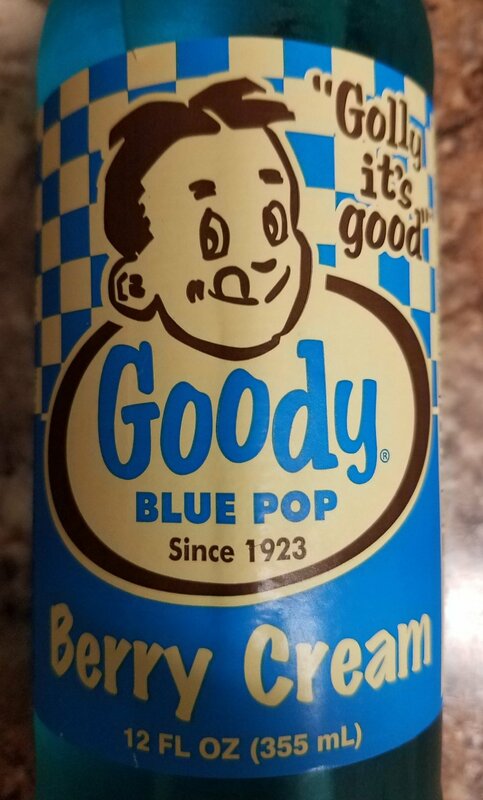 As like the root beer, the cream soda has a very detailed listing of the all natural ingredients including vanilla beans. I’m looking forward to trying more of the Virgil’s soda. Try this cream soda with a chocolate dessert, you won’t be disappointed. Sweetener: Cane Sugar and alot of it! To start, I can’t remember the actual last time I had a grape soda, so it has been at least a decade on this one. I have several vintage Nugrape bottles and nice to see the they stuck with the same label in yellow. Well this soda for sure has an enriching grape flavor that reminds you of eating grapes right off of the vine. My only major downfall on this one is the high calories and sugar. Got to love their logo “ A Flavor you can’t Forget” and I think this is true to say. This is the first time tasing a Goody soda and I’m not surprised on this one. Typical bubble gum ish taste and a lot of sugar. One of these soda was a treat, but I can see a tummy ache after too many of these. I would like to give credit to the Orca Beverage on the great line of retro sodas they provide and also the stories behind their retro brands. Give there website a reading and learn some soda history. Will be trying the red and root beer soon. To start, I can’t ever remember having a Butterscotch Root Beer, so this is a first for me. Tried this on a cold winter night, and have to say “Dang” that’s a great soda! At first twist of the cap, you can smell the aroma of a butterscotch candy. At first sip, you get that root beer taste and with a sweet ending of butterscotch. Looking at the label, it was hard to believe this soda is only 120 calories and 31g of Sugar. Pretty low for such a sweet taste. Label also mentions that it is Caffeine and Gluten free. How can you go wrong with this soda. I really can’t remember drinking Squirt as a kid, but always had the opinion of it being much like a Mountain Dew. After washing the car a few Sundays ago, I had the opportunity of choosing this Mexican Squirt at my local convenience store, and have to say this soda hit the spot! This soda has a refreshing citrus taste with a little sweetness at the end that calms down the tart. The bottle is pretty much the same as it was 30 years ago. Really enjoyed this one and looking for another one. I have to first omit that I’m not a big ginger fan. But with that being said, I actually enjoyed the Barritts Ginger Beer. For sure Barritts provides that deep ginger taste throughout the experience, but with the right amount of cane sugar, it is toned in a natural refreshing way. I can see the real ginger lovers clear this one off the grocery store shelves. Also check out Barritts site as they have some great mixer recipes for their ginger beer. Looking forward to trying their diet ginger beer up next in my refrigerator. Notable Ingredients: Always tasting that Sodium benzoate in Jones soda. Seems to be there trademark. 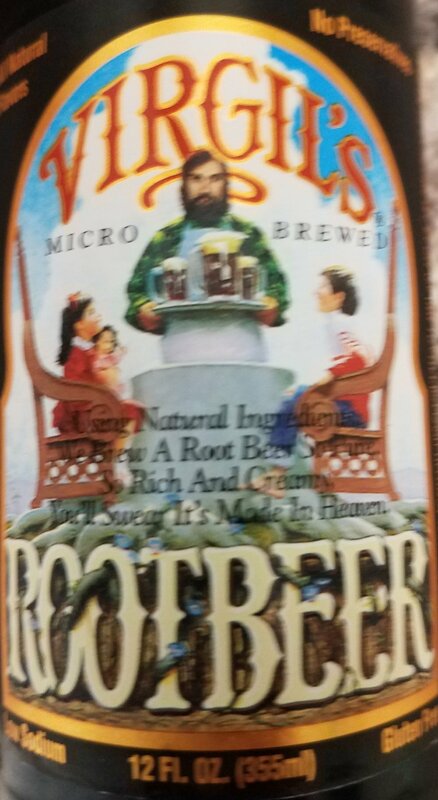 Was able to pick up a 4 pack of the Virgil’s Root Beer, and glad I did. I have been drinking one of these a day recently and have to say, this is a great root beer. I was really impressed with the overall appearance of the bottle and gold labeling. Very detailed to the listing of the all natural ingredients and the mention of “Served Chilled (Without Ice)”. Not that’s how you should serve a root beer. This root beer has a strong root beer grab at first sip, but then goes down sweet and smooth making you want a another sip. Looking forward to trying more of the Virgil’s soda. Try this root beer using the float recipe that can be found on their website. Enjoy! IBC has maintain to be a leader in the soda industry for decades. The Black Cherry is a great example with sweet bold taste. The Black Cherry provides that perfect about of cherry and the cane sugar is just the right amount to give it that sweet after taste. Try the IBC Black Cherry as late night snack during that movie. Found a 4 pack of the Stewart's Orange 'n Cream and have no regrets on that purchase. At first taste, this soda reminds me of a orange and vanilla swirl ice cream that I used be able to get from a local orange grove shop. Growing up in Florida I have come to love both the orange taste and anything related to the citrus industry. Back to the soda, again this is a great refreshing soda on a summer afternoon. If you like oranges, you will like this one! IBC has maintain to be a leader in the soda industry for decades. The root beer is their main staple and for sure its ranks among the best. It has a strong root beer grab at first sip, but then goes down sweet and smooth. The cane sugar is just the right amount to give it that sweet after taste. Try the IBC Root Beer with a few scopes of ice cream in a tall cold glass. Enjoy this one!